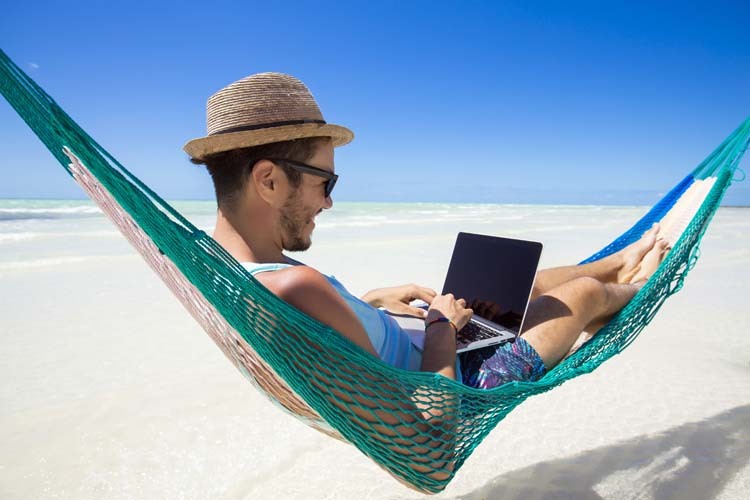 Working remotely has a lot of advantages, but at times it can be tough to stay inspired. I can get more done in 2 hours working from home than I can 8 hours in the office. This is because I can totally focus with no distractions. No one coming asking me questions or breaking my train of thought. But there are also times I can get a lot more done by talking to someone in the office. Let's face it, going into the office and connecting with your colleagues is fun and can keep you inspired. It can also waste time and be counter productive. In this post, I'm going to discuss different ways to stay inspired when you are not working in an office on a daily basis. I think getting exercise is a great way to get inspired. The idea for this article came to me after a bike ride and thinking about things in the shower. I suddenly had a lot of ideas of things I wanted to do and felt inspired. The previous day I was working at home and not feeling inspired at all. Go for a walk in your neighborhood or go to a local park for a walk and fresh air. Follow a workout program on YouTube or DVD. Do some Yoga at home or a class. If your new to Yoga, I recommend you sign up for a beginners class. Have some fun and chase your dog, cat, or child around the house. Start a new sport or re-start a sport you use to do and enjoy. Do some stretches – good article from Beach Body on Demand on 9 stretches you can do at your desk. If you don't have time for exercise or it's not your thing, here's a few more ideas to get inspired when working remotely. Working from home can be a bit lonely and boring. When your in an office, at the end of the day you go home and it's new, you haven't been there for eight hours. When you work from home, you're there all day and night. No change of scenery there. Learn a new skill. Is there something that will make your job easier or more fun? Go online and find a course, or just get started on trying something new. Watch a motivational video on YouTube. Start something that you've wanted to do for a long time. Write a list of things you want to accomplish and take the first step on one of them. Listen to the music enjoyed when you were growing up. Start a journal all of the things you've done an accomplished. Join a local group that you find interesting or can learn something. See my note below on joining Toastmasters. Volunteer for a group or cause you find interesting or you can learn a new skill. Create a space you enjoy working in, check out my article on: How I Setup My Home Office. Find a meetup group that you find interesting or can learn something. It's fun and inspiring to meet people that have similar interests. I use to go to a Social Media Meetup group once a month that was a lot fun. And there are other Meetup groups that I go to on a quarterly basis. There are lots of different clubs around the world. Interested? Check out Toastmaster find a club. I hope you found this article inspiring, Or at least you found an activity or two that will get you inspired. The key is to pick one and try it. Good article from Tiny Buddha: 50 Ways to Find Inspiration. One of my recent articles: How to Make Working from Home Fun Again.